UGSI Chemical Feed includes the Polyblend® mechanical polymer feeders and the Dynablend™ and Dynajet™ hydraulic polymer feeders. Our designs feature two-stage mixing with high energy for the optimum initial wetting followed by a quiescent zone allowing for more gentle activation, as polymer science dictates. Both the Polyblend® and the Dynablend™ and Dynajet™ products are available for liquid and dry polymer blending in a variety of sizes and configurations to meet your process needs. The range of installations is broad. Systems have been installed in virtually all water, wastewater and reuse applications for municipal and industrial users. Many non-water applications have also been designed and installed. Both technologies offer precise control of dosing rate, dilution level, mixing time and energy. Our products provide maximum economy and value in the use of polymers. UGSI Chemical Feed, Inc. offers several styles of metering pumps with integrated controls. These include: solenoid-driven, mechanically actuated; hydraulically actuated and peristaltic pumps as well as integrated dosing and control packages for municipal and industrial markets. 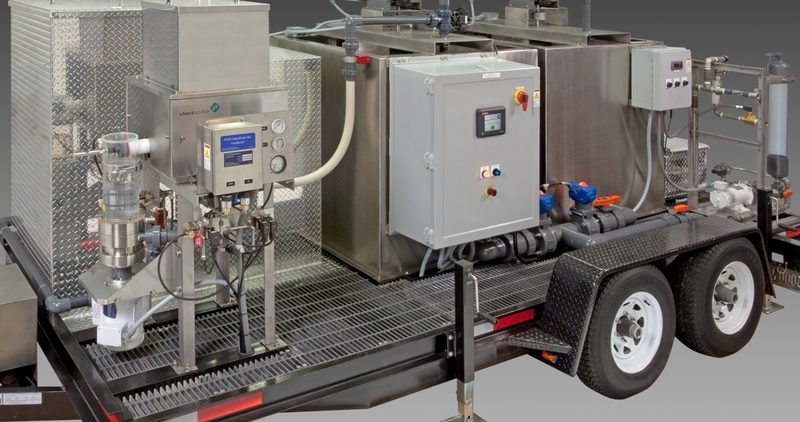 Integrated metering pump skid packages are designed to meet the needs of most industrial or municipal liquid chemical feed applications. Completely assembled systems offer the features and flexibility required for accurate chemical metering with the benefit of easy installation, start-up, operation and maintenance for a "plug-and-play" approach. In addition full global support for current and discontinued Wallace & Tiernan® pumps is provided. Contact us. UGSI Chemical Feed technologies for feeding and metering dry are available for chemicals commonly used in the treatment of municipal and industrial water and wastewater. Products include volumetric screw feeders, belt-style volumetric feeders and gravimetric feeders. Feeder tank systems, lime-slaking systems and accessories can handle the most commonly used chemicals in the water applications such as calcium oxide, calcium hydroxide, ferric sulfate, soda ash, potassium permanganate and aluminum sulfate. Chemicals used in industrial processes include bleach, clay gypsum plastic pellets, pigments and flour. Our designs include hazardous area feeders for carbon feed. The LVN 2000™ liquid chemical feed system can handle the majority of chemicals used in water or wastewater treatment processes. It is ideal for solutions of sodium hypochlorite that have a tendency to out-gas, resulting in loss of feed with conventional metering pumps. The LVN 2000™ uses a vacuum source such as an injector to draw chemical from the supply tank to the point of application. Utilizing the UGSI Chemical Feed V-Notch control valve, reliable feed rates can be maintained with either manual or automatic control schemes utilizing the proven controllers. A flow meter provides accurate indication of feed rate with a percent or direct reading scale (GPH and LPH). An optional high/low alarm is available on high capacity systems. Control methods include: manual, start-stop programmable control, flow proportional control and set point process control. UGSI Chemical Feed, Inc. manufactures a broad line of flow meters for readout, transmission and control of fluid rate for most industrial process applications. 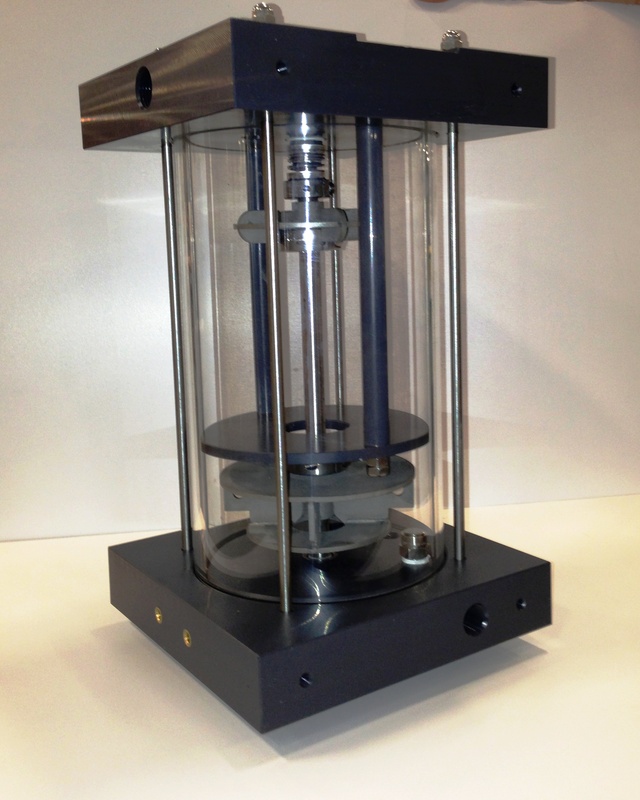 For low-capacity, low pressure applications we offer glass tube purge meters with stainless steel frames. Purge meters are specifically designed for purging instruments cases and control lines, and are readily adapted to liquid-level indication, sampling, liquid specific gravity determination and similar applications. 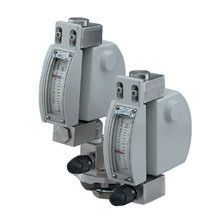 For low flow, higher pressure application armored purge meters are available. For high volume flows glass-tube and metal tube meters are available in a variety of sizes and configurations for metering both air and liquid. Target applications are: refineries, oil & gas, power and industrial water and municipal water and wastewater. To keep your premium quality equipment operating at top efficiency, UGSI Chemical Feed, Inc. offers the most inclusive after sale support in the industry. Genuine replacement parts are stocked for your Encore® 700 and Chemtube® 2000 mechanical metering pumps; 32-050, 32-055, and 35-150 solution feed tank systems; Polyblend® polymer activation and feed systems; Liquid V-Notch Feeders; Varea-Meter® products; and LMI and Seepex metering pumps. Genuine replacement parts not only protect your investment in the equipment, they also offer assurance against failure in critical public-health-related and critical process related applications. Avoid the hazard and hidden costs of cheap imitations. UGSI Chemical Feed, Inc. offers fast delivery of original-quality replacement parts from a large parts inventory. Use of such parts helps maintain equipment in good working order, eliminates equipment breakdowns and costly down time. For your convenience, UGSI Chemical Feed, Inc. stocks preventive maintenance kits for your equipment. These kits contain replacements for those parts most susceptible to wear and/or most often replaced. They facilitate scheduled maintenance and emergency repairs.